The Food Alphabet and More: Super DAD this is for you! 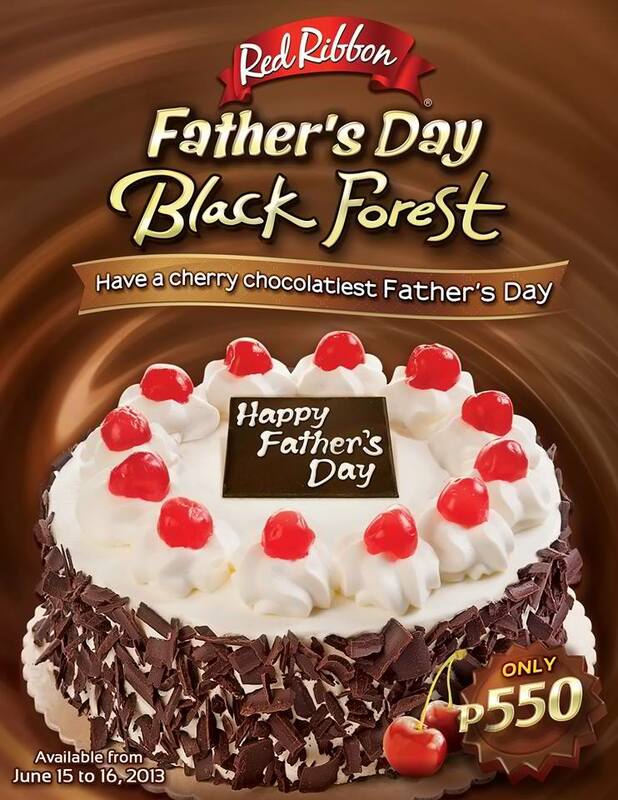 This weekend, say thank you to our Super DAD with a limited edition Red Ribbon Father's Day Black Forest Cake, available in all Red Ribbon branches until June 16, for only P550. Bring the good times and surprise him with a treat that will bring back sweet memories you've shared with him in the past, be it last year's Father's Day, your graduation, or winning a school contest. 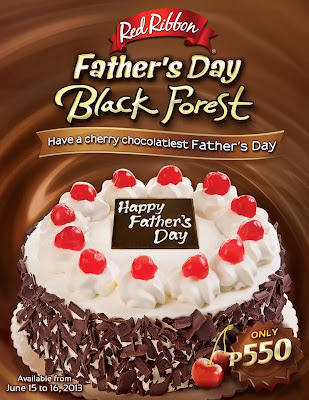 Give your dad the cherry-chocolatiest Father's Day celebration with Red Ribbon's chocolatiest Black Forest with cherry twist, made with moist chocolate cake filled with cream and cherries and topped with chocolate and cherries. This Sunday is a special for our hero-our DAD. Make him remember that even though you may be taller and wiser, you are still his little prince or princess who loves Black Forest cake just as he does.